As days get shorter and the weather cooler, one of my favourite seasons arrives: autumn or as it is known in America the Fall. I have just returned from several weeks visiting friends in the US where I experienced this spectacle first hand albeit in two different states. 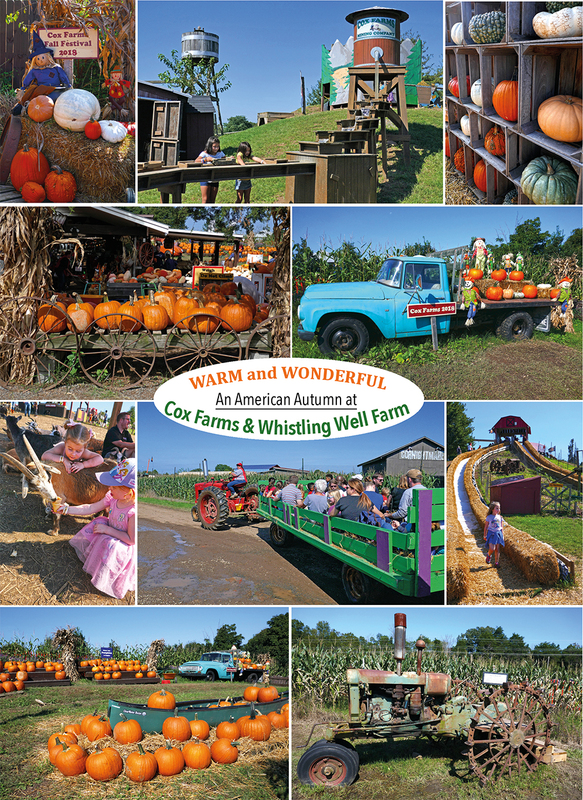 In Washington DC I visited Cox Farms which plays host to one of the most popular fall festivals in Northern Virginia. There I enjoyed the 80 degree plus temperatures of an Indian summer. 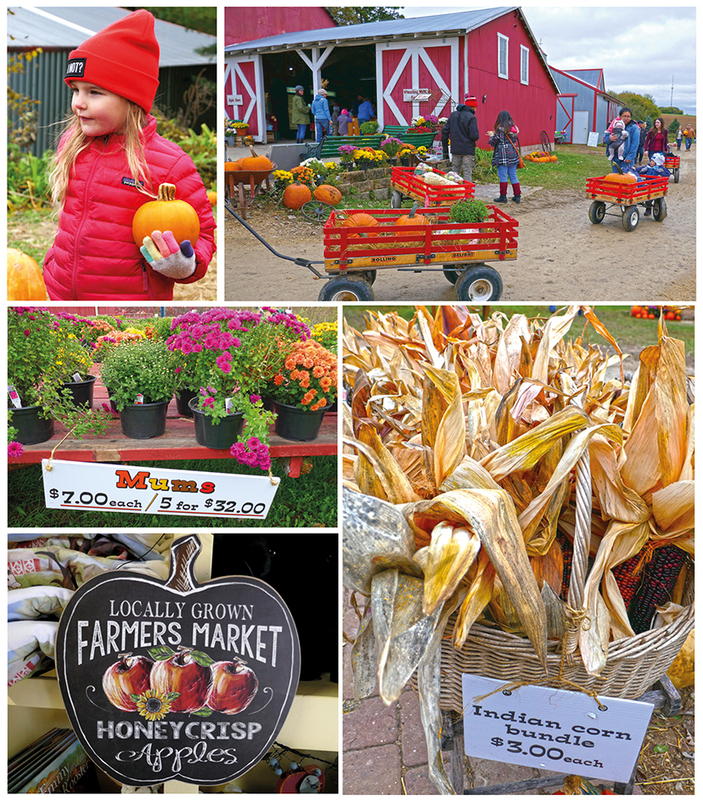 Later, a plane ride and a change of clothing away I swopped shorts and t shirts for a hat and gloves which felt more seasonal attire for the afternoon spent at Whistling Well Farm located in the St. Croix River Valley, Minnesota. Vibrant orange pumpkins and stripy coloured gourds can easily be bought in grocery stores. However it is definitely more fun to spend time with family and friends picking the ideal fruit to turn into a Jack-o-lantern. Most farms are family owned, some also have orchards where you can pick your own and sample the fruits as you walk along the rows. I tried a popular variety called Honeycrisp, as the name suggests, crisp, juicy and sweet – what could taste better than an apple straight from the tree? Red wooden barns are transformed into country stores where seasonal goodies are sold, such as jellies (jams), apple pies, apple butter and hot spiced apple cider which is a non-alcoholic drink in the US. 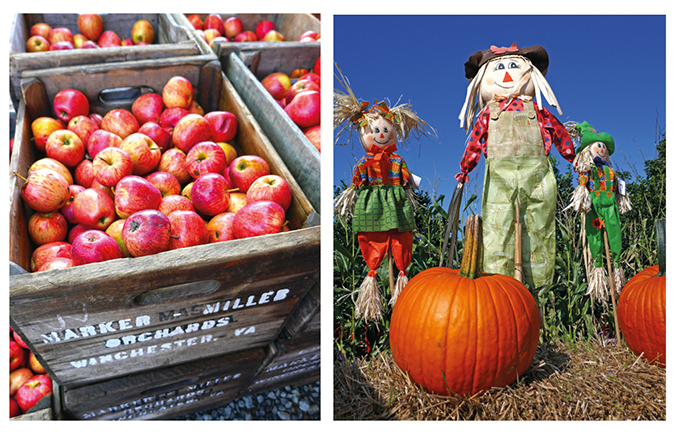 Wagons laden with fall décor, straw scarecrows, Indian corn, painted wooden signs and pots of beautiful mums or as we say chrysanthemums with pom pom blooms of orange, yellow, pink, white, lavender and bronze are all for sale. Many farms also host a festival with activities such as hay rides, corn mazes, petting zoos alongside food stands selling kettle corn (a sweet-and-salty variety of popcorn mixed with a light-coloured refined sugar, usually made in cast iron kettles) devoured by the handful it’s quite an addictive snack – especially eaten warm – and a seasonal treat ideal for a chilly fall afternoon. Pumpkins have been grown in North America for five thousand years. They are harvested in October and are a member of the gourd family, which includes cucumbers, honeydew melons, cantaloupe, watermelons and zucchini. They are synonymous with the fall celebrations of Halloween and Thanksgiving when pumpkin pie is served as part of the festive meal. It is said ancient Celtic cultures in Ireland carved turnips on All Hallow’s Eve and placed an ember in them to ward off evil spirits. When the Irish arrived in America they introduced the custom and began carving pumpkins – a fruit not grown in Ireland and that is how Jack-o-lanterns originated.